Sheldon Cooper: I realized if I find the other people who checked out the book, they’d be looking for friends, too. 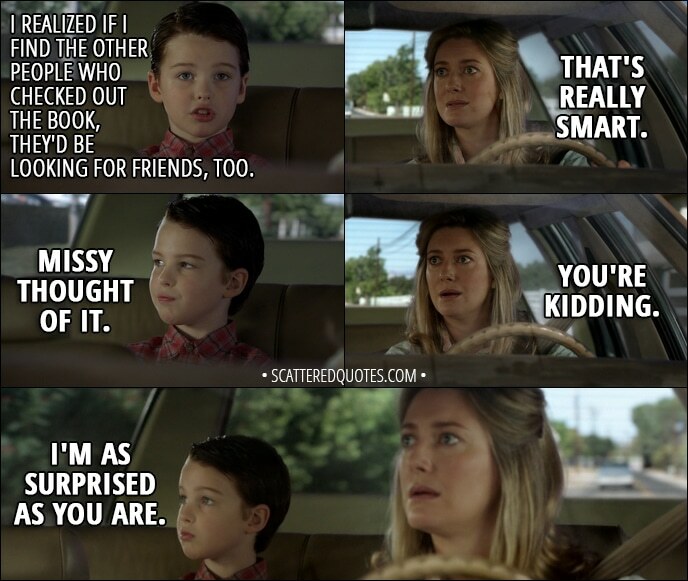 Mary Cooper: That’s really smart. Sheldon Cooper: Missy thought of it. Sheldon Cooper: I’m as surprised as you are. 30.12.2017 Missy thought of it. I’m as surprised as you are.